As a Newcastle fan do you expect success, have you got your calculator out waiting to add up the trophies? Well if you do then I think you might have taken a wrong turn! What we do expect, or at least hope for, is that players see Newcastle United as a bit special and not act like a typical man in the street who goes into work every day wishing he was somewhere else but hey, it pays the bills. Nobody can see inside another man’s head but you would find it hard to imagine that players such as Viduka, Owen, Geremi, Marcelino, or managers like Souness and Fat Sam, would have been bothered if they’d turned up for training one day and were told they were moving to a ‘factory’ down the road on the same money or a few quid more. Kevin Keegan and Sir Bobby of course got it, as did players like Ferdinand, Albert, Barton, Lee, Pavel, Beresford and so on. You don’t need to be born on the banks of the Tyne (though it doesn’t do any harm!) to return some of the passion and respect you get from the terraces. If somebody like Charles N’Zogbia sees playing for Wigan as no different to turning out at St.James’ Park then they aren’t any loss to Newcastle United. “All the players have stayed here. I think we have to have confidence as we have very good players. Maybe if we feel very good, we can finish between fourth and first. Why not? Why can we not say we could be champions? Anything is possible. We can challenge for it. We have good players, a good stadium and great supporters. We have to have confidence. I believe we can do what I say. I very happy to stay here. I’m happy to be back at Newcastle again. I love this club and the supporters. I love them and they like me”. 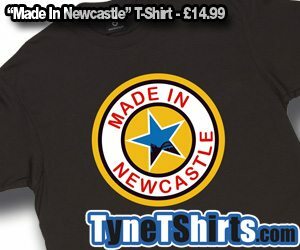 Fans of other clubs might have a laugh..’.those daft Geordies are deluded and now the players are at it’ but who cares? If there’s one player who plays on his emotions then it is Ben Arfa and just maybe we are going to get a massive return on the love and appreciation we have shown him. Hatem has had a troubled past despite picking up League Titles along the way and of course this Summer’s Euros experience is well documented. Just maybe he has found the right club where the love is all around him and winning a trophy could just be the consummation of that relationship!